Oxley was a pivotal figure in the early days of British improv, having formed part of the Joseph Holbrooke Trio – along with Bailey (guitar) and Gavin Bryars (bass) – far from London in the outpost of Sheffield. That original version can only be heard in a brief rehearsal fragment, again a reflection of how recording technology and practices have changed. Not soon enough unfortunately, as large parts of Oxley’s music making – apart from his work with Cecil Taylor – have gone undocumented, at least officially. This CD – made from Oxley’s own recordings – fills a few gaps, but it’s in no sense a career retrospective; more of a snapshot of music from the years 1977 and 1993. Two of the tracks on this CD were recorded at about the time of the studio session that produced Oxley’s February Papers (Incus, 1977), and have counterparts on that album which explore very similar territory. 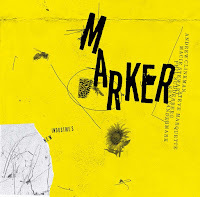 The final track on February Papers is On the Edge, a recording of the amplified sound of Oxley drawing a violin bow across a knife blade, which produces a string of oscillating microtones and overtones similar to Evan Parker’s experiments with the soprano saxophone that he was beginning at the time (the piece is dedicated to Parker). On this CD, Times is similar in conception: the sound of what appears to be vibrating wood, amplified to produce waves at different speeds. This technique of opening out and getting into the microtonal structure of sounds is something that has been explored by others, such as Eddie Prévost and Gino Robair, with his “energised surfaces”. In isolation however, it can become a little too recherché for my taste. Like an artist’s preparatory studies, musical experiments can be useful to musicians, but are not necessarily for public consumption. At almost six minutes Oxley’s Times rather outstays its welcome; the shorter On the Edge is the more successful piece. The Earth Sounds comprises the trio of Oxley (amplified percussion), Ian Brighton (guitar) and Philipp Wachsmann (violin), who produced the similar sounding – and titled – Sounds of the Soil 2 on February Papers. It consists of static layers of pure sound: scrapes, plucks and harmonics (natural and electronic) in which everything is ensemble texture. Again, the February Papers session – at about half the length – sounds rather more focussed. The other recording from 1977 is Kelson, a duo with Paul Rutherford (trombone and electronics). As always with Rutherford, his trombone provides rapidly moving shapes and characters, never settling in one place for long, which add a genuine sense of drama against Oxley’s electronic washes and bubbling sequencer. The highlight of the CD – and the longest contribution – is two pieces recorded at the Bracknell JazzFestival in 1993, by a quartet consisting of the established duo of Oxley (unamplified drums and percussion) and Derek Bailey (guitar) with two performers from the next generation of improvisers: Pat Thomas (keyboards) and Matt Wand (sampler). 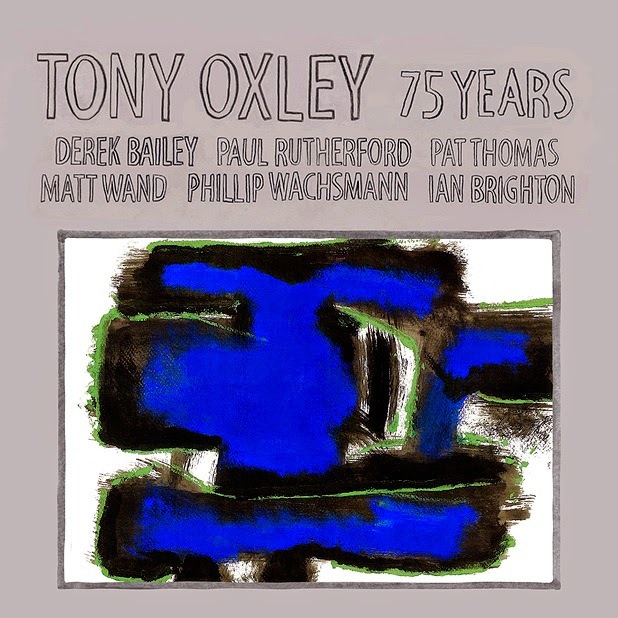 Oxley said at the time that the younger pair spoke a language to which he and Bailey could relate and unusually, we have more evidence of their work than with other of Oxley’s projects: The Tony Oxley Quartet (Incus, 1993) and Tony Oxley/ Derek Bailey Quartet (Jazzwerkstatt, 2008). This was a band that fizzed and sparkled, and it’s easy to hear the technical advances in electronics in the intervening sixteen years. These are predominately sounds in themselves rather than a transformation of something else, and together Thomas and Wand provide a rapidly shifting mesh of pops, bleeps, thumps, screeches, radio blasts, and arpeggios. These compliment Oxley and Bailey’s fractured and angular interchange, with Oxley typically focussing on metallic percussion and high-pitched drums, striking sparks off Bailey’s hard edged, asymmetric notes and clusters. This can prove difficult music for listeners, and the reasons are obvious. The sheer range of activity produces something that seems to be in an almost continual state of flux, with no narrative progress, and where nothing stands still long enough to allow the ear to settle and gain a foothold, it can feel like trying to grasp mist. 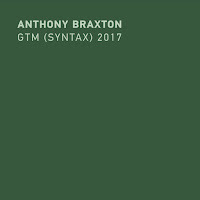 In part, this is as the result of Bailey’s conception of “non-idiomatic” improvisation, shared with many others – music purged of all familiar associations and references, and which has more in common with the sound world of the European avant-garde than American free jazz. This wasn’t a case of Bailey playing the stereotypical, curmudgeonly Yorkshireman, however; he was genuinely bored by the familiar, and relished the challenge of the unexpected. Even when playing alone, Bailey’s ideal was to avoid the habitual and try and surprise himself. As a result, this is challenging music that does not deliver up its secrets easily, and requires patient and attentive listening, which many – even though musically sophisticated – are understandably, not prepared to undertake. I would be suspicious of anyone who claimed to be entirely comfortable with this music from the outset. Yet I think there are ways of orientating one’s ear. This is abstract music, not just in the sense that all music is abstract, but because Oxley has always been concerned with articulating different kinds of musical space, and there is a possibly useful analogy with certain modern sculptors for whom movement in space and the changing relations between objects is a defining aspect of what they’re about. I’m thinking in particular of the mobiles of Alexander Calder and breakthrough sculptures of Anthony Caro. Calder’s mobiles – best seen in motion as in the video below – consist of configurations that continually change their relationship to each other: intersecting, dominating and contrasting – graceful and complimentary movements in space. The position is rather the reverse with Caro, whose heavyweight steel constructions do not move, but are intended to be walked around and seen from all angles, there being no “correct” viewing point. 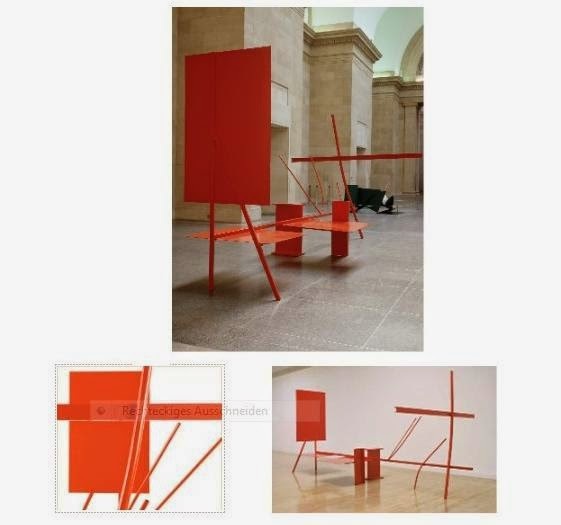 His first really great work – Early One Morning (1962, Tate) – presents a variety of different components, unified by the industrial red paint, in which the interest is not in the components themselves so much as the changing relations between them, the different vectors and planes in which the weight and force of each part in relation to another is altered depending on the view. Caro himself likened the work to a piece of music. I think these kinds of considerations are similar to what is going on in Oxley’s quartet. 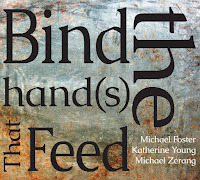 There are constantly evolving conjunctions of disparate sounds, whose very fleetingness and unpredictability provides part of the music’s charm. Things come together, sometimes briefly – such as the odd dialogues between drums and drum machine – and move apart just as quickly. This is music of ever changing perspectives where not all of the musical parts need be given the same attention. Something at the periphery can move back into focus, and then retreat. One element can remain fixed, such as a drum or guitar pattern – sometimes regular, other times disjointed – while other sounds move around it. Other times, the rhythm provides the basis for a composite texture built up by the group and then disassembled, or whipped into a climax by Bailey’s thrash chords. There’s a passage in Colour Fields where Thomas’ repeated treble pattern on the piano gives rise to repeated figurations from the others that produces a composite mechanical object, hobbling along on different sized legs. The texture is sometimes thinned out by way of contrast, or things slowed down, such as where Bailey’s plucked chords are accompanied by strange whines and a deep groan from Thomas and Wand’s electronics. Once one becomes attuned to this kind of music it can prove endlessly fascinating, while retaining an air of surprise. Given the paucity of Oxley’s music making currently available this CD is welcome, but it would have been nice to see the re-release of his eponymous LP and February Papers on Incus, and Ichnos on RCA, though I know nothing about the availability of the master tapes. There’s also a lot of music Oxley recorded for BBC radio broadcasts – such as the Cercele trio, which never made an official recording – but again, I’ve no idea if the original tapes have survived, or the terms of their availability. Here’s hoping, however. And finally, today is Oxley’s 76th birthday. Many happy returns, and (very) belated congratulations on last year’s quarter century. As usual a very knowledgeable and insightful review, Colin. I must admit that Oxley is one of my blind spots, although I am familiar with his collaborations with Taylor. If you had to recommend three essential Oxley albums which would that be? The use of electronics in these early 1970s recordings is sometimes odd, I agree with you. 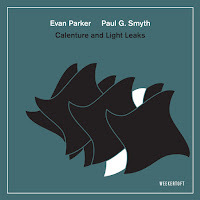 It is mainly Evan Parker who has still been interested in such collaborations, not only in the Electro-Acoustic Ensemble, but also in smaller groups (I have seen him with Rocket Science) or in duos (with John Wiese, for example). Having seen Joe McPhee's Universal Indians yesterday and watching the Barry Guy's playing with Riley and Oxley in the video it is remarkable how influential he has been. The bassist in Mc Phee's group (Jon Rune Strom) must have listened very closely to him. And last but not least: I like Oxley's, Riley's and Guy's "Prince Valiant haircuts" - as we say in German. Thanks Martin. In Britain, we refer to them as “dodgy” haircuts, though as someone who is... follicly challenged, I’m hardly in a position to comment. I suspect we all have dodgy haircut photos kept in a box at the back of the wardrobe. Agreed with Martin that this is a really interesting review. I think my favourite of Oxley is his duet with Alexander von Schlippenbach, Digger's Harvest. 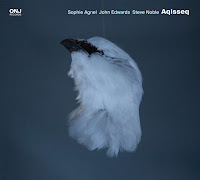 Also, on a more straight-ahead note, let's not forget Extrapolation by John Mclaughlin. I'm with Martin and Richard, great write-up, the parallel between Oxley's approach to improvising and modernist sculpture is a very interesting one.